The developers of The Ridge, a newly created subdivision in the City of Courtenay on Vancouver Island, are currently offering attractive financing to people who would like to choose a mountain or ocean view lot and build their home in the next year to three years. The Ridge offers the flexibility to choose your new home lot now, starting at only $169,000, and then the developers will help you with attractive and creative financing packages. 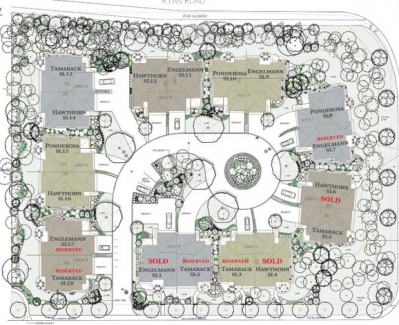 In Phase I, there are approximately 60 lots available to choose from. Well-known and respected builders, Lawmar Contracting and Brando Construction have started building and selling new homes in this quiet, rural-like neighbourhood. 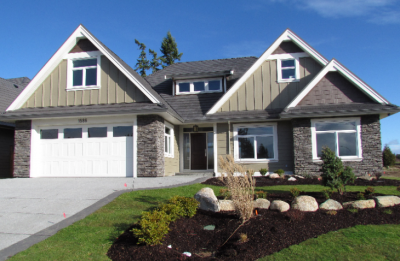 These premier builders have over 35 years of experience between them and have been building homes in Courtenay, Comox, Cumberland and the Comox Valley for over 20 years. They both have show homes located at The Ridge, open from Tuesday through Saturday. The developers at The Ridge are happy to answer any questions you might have about this beautiful Vancouver Island community located in Courtenay, BC. They look forward to hearing from you so that they can give you a personal tour. What Makes Budget Blinds Unique on Vancouver Island? Interior Design - The talented interior designers at Budget Blinds will help you choose the best window coverings for your business in the perfect texture and colour. Budget Blinds also has an enti​re line of eco-friendly window coverings made with sustainable materials and can custom fit any window covering. Trained Experts - The trained experts at Budget Blinds will manage your commercial window-covering project through every phase of implementation: design, measuring, ordering, delivery, and installation. Budget Blinds on Vancouver Island has the strength of Budget Blinds and Home Franchise Concepts behind them, so they can give their customers the best products and service at the best price, all backed by one of the strongest warranty programs in the industry. Commercial Window Coverings - Budget Blinds offers Vancouver Island business owners and property managers a complete turnkey solution for their window-covering needs. They have experience providing commercial window coverings to a variety of industries, including health care, hospitality, restaurant, education, government, and many more. Commercial window treatments are available in a wide range of motorized, flame-retardant, child-friendly, cordless, and even energy-conserving options. They offer very competitive pricing on popular and unique window coverings for commercial and professional buildings. 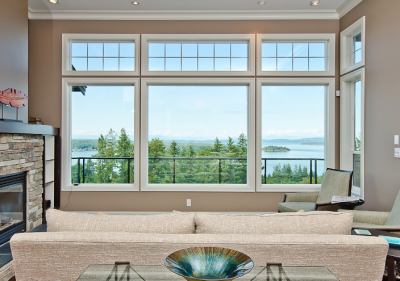 Budget Blinds on Vancouver Island carries an extensive variety of residential and commercial window coverings, including blinds, shutters, shades, curtains, drapes, and window film. Budget Blinds provides high-quality blinds and stylish window coverings for new homes and home renovations, as well as for commercial, retail, and professional offices at competitive prices. Call them today at 250.338.8564 to schedule your free consultation. You can also visit their website read their blog, or order 10 free swatches. Sign up to get 25% off selected Signature Series window coverings!! They serve the Comox Valley communities of Comox, Courtenay, and Cumberland on Vancouver Island, as well as the east coast communities from Campbell River and Oceanside, to Nanaimo. Fifteen of the 24 new single family homes, built by Southwind Developments Corporation in Phase III of RiversEdge have been sold. These single family residential homes are situated in a bare land strata plan and feature landscaping, underground sprinklers, fencing and hedging. The homes in this development are one level ranchers ranging in size from 1,450 to 1,677 square feet. Two homes have been completed and five are under construction. Prices range from $349,900 to $359,900. The new show home is now open every Saturday from 1-3pm. "The builder, Southwind Developments Corporation, is the only company in the Comox Valley that controls the entire development and building process from start to finish," says Courtenay Realtor Art Meyer, project realtor. "For projects that Southwind undertakes, they buy the raw land, service it, build the homes, and warranty each home for 10 years. You know precisely what your neighbourhood will look like. That’s the secret to Southwind’s success." As well, the owners of Southwind Homes actually live at RiversEdge. When developers live in a community, you can feel secure knowing they'll be there for all and any issues that arise during the 10-year warranty period. The new ranchers at The Ridge at RiversEdge are also the lowest-priced new homes anywhere in the Comox Valley. Considering the quality of workmanship and materials, Southwind provides the very best products for your money, says Meyers. Your RiversEdge Specialist is Realtor Art Meyers of Royal LePage in the Comox Valley. An open house is held from 1-3 p.m. every Saturday. For more information, call Art at 250.207.1879. Another one of Monterra Builders' new patio homes has sold, which brings them up to five homes sold. Six of the homes in the new Crown Isle development are reserved, which now leaves seven patio homes to choose from. A show home is now under construction and it is scheduled to be completed in September. Trusses are now being constructed on Phase I which includes units 1 through 4. These luxury patio homes are 1,413 to 1,621 square feet in size and range in price from $405,000 to $415,000. This 18-unit patio home project is located on the corner of Crown Isle Drive and Ryan Road in Courtenay, inside the Crown Isle golf community. A three foot berm and cedar fencing will be built on the Ryan Road side of the development and native trees and plants will be installed surrounding The Grove providing a natural forest-like setting. All residents will be able to enjoy the privacy of their new patio homes due to the re-naturalization of the landscaping. To view the plans and for more information on The Grove, you can visit the Monterra Builder’s office, located at 2906 Cascara Crescent in Courtenay from 1 to 4 pm Monday to Saturday or call them at 250-338-2414. 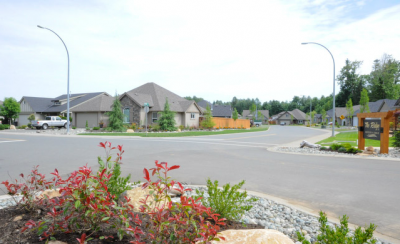 The Ridge is a newly created subdivision in the City of Courtenay on Vancouver Island, located just minutes away from the beach, trails, shopping, restaurants and other amenities. This unique subdivision is located on a gently sloped hill, just off of Buckstone Road, overlooking the Comox Bay and the Comox Glacier in South Courtenay. Most of the 69 lots in Phase I include a view of the mountains or the ocean, or in some cases, both! Residents are now moving into the new homes at this location. The developer, Buckstone Developments is offering attractive financing on the lots. You can secure a lot now, and start building in a year or two. The lots vary in size from 7,000 to 12,000 sq. ft. and prices start at $169,900. Choose your own builder when you are ready to get started. Two builders are holding open houses at their show homes at The Ridge from Tuesday through Saturday. Buckstone will send you an information package upon receiving your request. We are happy to answer any questions you might have about this beautiful Vancouver Island community.The developers can also arrange a private appointment to show you the property. We look forward to hearing from you! Featuring 26 condominiums and 42 patio homes,The Gales in Ladysmith, BC, offers unparalleled luxury set amongst a backdrop of spectacular ocean and mountain views. The community of Ladysmith provides year-round outdoor activities and adventures, along with one of Canada's most temperate climates. These new Vancouver Island homes feature vaulted ceilings, spacious rooms, and impressive views. You'll also find meticulous high-end finishing and amazing attention to detail. The bungalow-style homes and condominiums at The Gales are designed and built in West Coast contemporary architectural style. Floor plans are open and ideal for entertaining. Warm earth tones throughout complement the coastal landscape. Wide sunny decks give you plenty of room for lounging outdoors. At The Gales, you can leave landscaping and yard maintenance behind, but still enjoy the outdoors with year-round walks on the beach and leisurely strolls through the pristine forest right at your back door. "These truly are high quality homes", explains Realtor Keith Mazurenko. "They are constructed to reach Built Green certification, which represents a new way of building homes, promoting energy efficiency, water conservation and innovative green building practices. Our Builder in GNB Builders, a multi-award winning contractor of custom homes." Visit the GNB Builders website to view their credentials, and learn about their stellar reputation and track record. New homes at The Gales are priced from $499,000 to $599,000. For more information, contact Realtor Keith Mazurenko of Coast Realty using the "Send Message" below. Tour The Gales and be blown away! Campbell River commercial realtor Bruce Carruthers of Re/Max Check Realty specializes in commercial real estate sales on Vancouver Island. 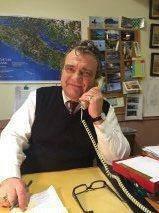 He is the expert in buying and selling commercial real estate in Campbell River. Campbell River is the place to purchase real estate, as there are many new projects underway, including the construction of the John Hart Dam, the expansion of the new hospital, the construction of a new hotel, office building, a new Berwick Retirement Centre and more! Over $1 billion in construction activity to occur in the next three years. Commercial Realtor Bruce Carruthers has built his success on trust, honesty, and integrity.Contact him today at Re/Max Check Realty for all of your Campbell River commercial real estate needs. For more information, or to contact Bruce, call him direct at 250.287.0151 or toll free at 800.379.7355. Since the Fall of 2013, Crown Isle has experienced the beginning of the next real estate boom in the Comox Valley. Since the beginning of 2014, sales of existing residential lots, new homes and existing properties have tripled in comparison to the spring of 2013. Construction of new homes has more than doubled during the same time period. There continues to be lots of activity, resulting in numerous sales and this trend is expected to continue. Jason Andrew, Director of Sales says he has not seen this much activity and sales of new homes and lots since he took over the position six years ago. Sixteen residential and golf lots have been sold during the past five months with 11 more lots are under contract. 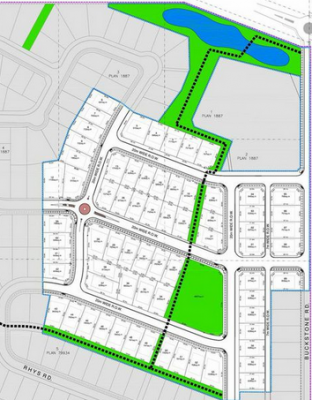 This activity has spurred Silverado Land Corp, the development company for the Crown Isle community to develop more building lot inventory to be ready to come to the market. 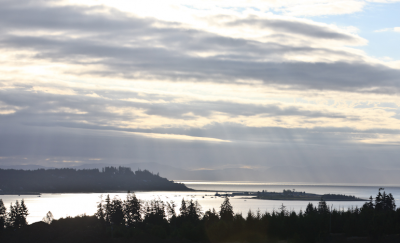 For more information about new lots for sale in Crown Isle, contact Jason Andrew at jason@crownisle.com. New home site prices in Crown Isle start at $163,900.